The Irish cargo cult manifests itself in the belief that, if a town gets connected to a navigable inland waterway, boats carrying rich tourists and holidaymakers will arrive, spend large amounts of money and invigorate the economy. Moreover, further visitors will come, by road, to gaze upon the boats, spending even more money locally. And the whole place will come to look like Monte Carlo or suchlike, providing nice backdrops for photos in the tourist photos and thus attracting yet more visitors. Limerick has already tried this. In 2001, a sewer was being laid down the bed of the river; a weir was put on top of it to ensure a minimum depth of water in the Abbey River. Three sets of moorings were installed, but the proposed service block (with toilets and showers) was never built. 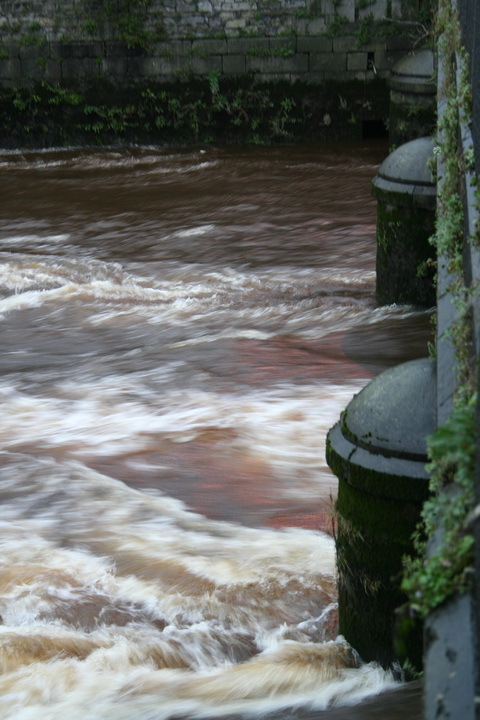 the current in the Abbey River could make navigation dangerous or even impossible. 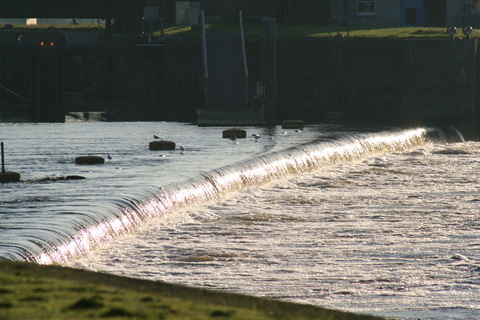 The new weir did provide a minimum depth in the Abbey River, but it may also have prevented river-borne silt from being washed down to the estuary. 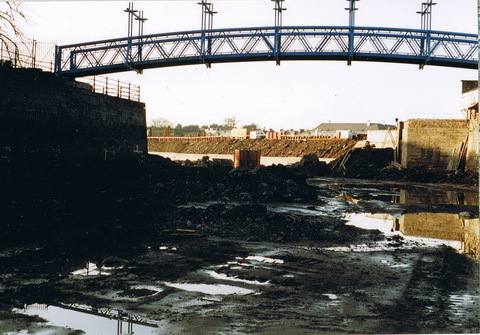 In 2010 I was on a boat that touched bottom in the Abbey River; most of the Custom House moorings were unusable throughout 2011 and the entrance to the canal harbour from the Abbey River was completely silted up: extensive dredging was carried out in the winter of 2011. 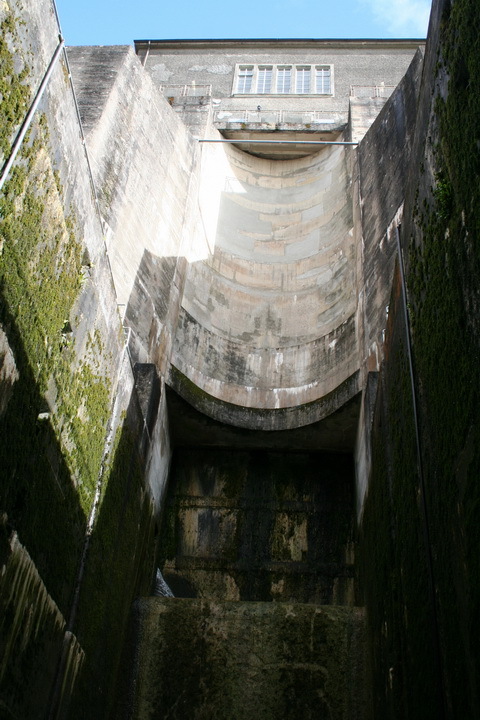 The weir did nothing about the air-draft problem; at the official opening of the scheme in 2001, one boat (more used to the sea than to rivers) lost its radar arch against a bridge. However, this restriction can be avoided by timing any journey carefully. 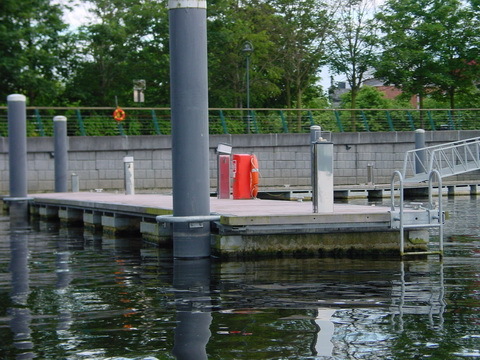 Three sets of pontoon moorings were installed as part of the improvement scheme, but two of them are effectively unusable. Those outside Barrington’s Hospital are subject to strong currents; furthermore, boats moored there are vulnerable to attack by missile-throwing miscreants on the banks. That second problem also applies to the Arthur’s Quay moorings. That leaves only the Custom House moorings, which are safely tucked away behind the railings of Sarsfield House and the Hunt Museum. 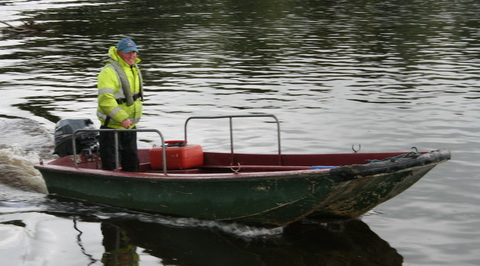 Some of the spaces are usually occupied by harbour-hoggers: folk who are unwilling to pay for moorings for their boats and who ignore Waterways Ireland’s five-day limit (seven days in a month) between 1 April and 31 October. 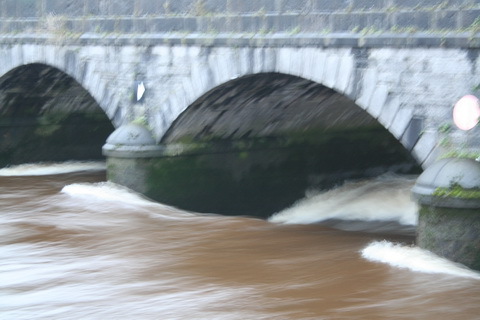 But the weir did nothing to reduce the problems caused by the current in the Abbey River: it is said that Waterways Ireland once recorded a peak current of 10.3 knots under the bridge. 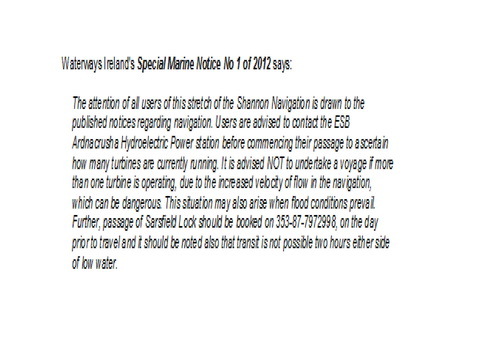 The strength of the current is a function of the state of the tide, the number of turbines running at Ardnacrusha and the flow caused by recent rainfall. The secret to a safe passage is to wait until the incoming tide balances the current coming down the Abbey River. (That of course means that, on any one day, there may be only one brief period when passage is possible in daylight.) If you’re moored at the Custom House and heading upriver, it’s easy enough to tell when that is happening, but if you’re upstream at Ardnacrusha, coming downriver, it’s impossible to tell. 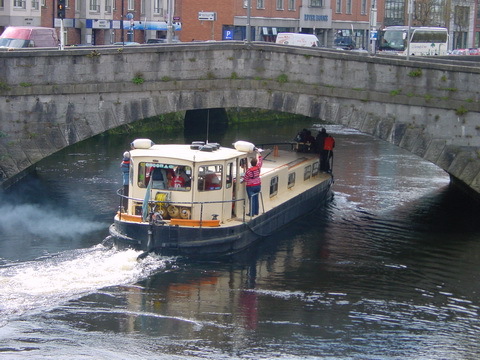 Most hire firms will not allow hirers to take boats down to Limerick; even many private owners are reluctant to tackle the journey. Had it not been for the sterling voluntary efforts of Pat Lysaght, even fewer would have done so since 2001. 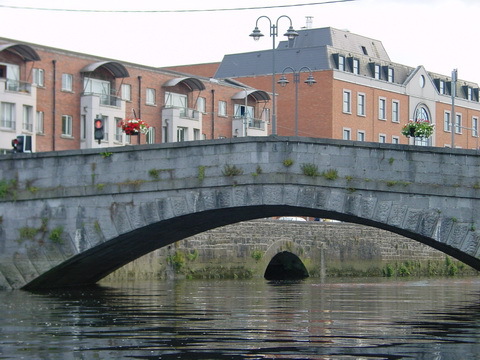 There is one further factor that reduces the number of inland boats visiting Limerick and that is its position at one end of a large connected waterways system. Some boats stay in Limerick on passage between the estuary and the lakes, but for the large number of inland boats a trip to Limerick requires far more organisation and planning than most Shannon trips. It may require a full day for the trip in each direction. None of this is intended to deny the considerable pleasures of a boat trip to Limerick: a passage through Ardnacrusha is an amazing experience and the river trip from there is surely the best possible way of entering Limerick. 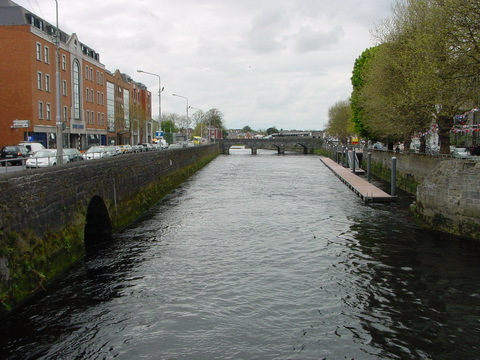 So would reopening the Park Canal help to attract more boats to Limerick? See The Park Canal 05: cruisers from the Royal Canal. I am glad you have written this, now when I am asked why I don’t think the plan to re-open the canal as a gateway to the university would work I can point them in this direction. Thank you. Whoever compiled that report hit the nail on the head. The weir: disaster. The canal: disaster, despite the millions spent on it, The section from Park Bridge to the river must be the worst stretch of public canal in the country, completely overgrown by bushes and trees. If the lads in the EEC saw it they would look for their money back. 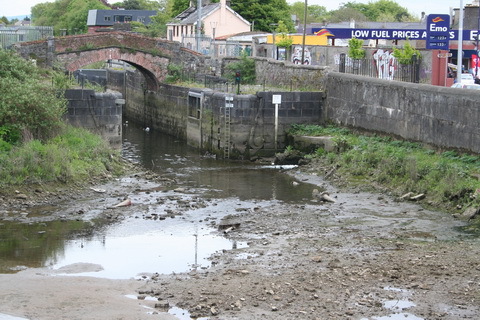 Yes,, as a local person and Limerick born and bred it would be great to see the Park Canal get much needed attention,, not only for boat users or tourists but for locals and the great city that is Limerick city.. Such work along the Canal beautiful walks have been maintained and cared for by organisations who take pride in our great city. This work should be continued to further enhance the city,, such is that in other Cities,,like the capital.. Dublin. 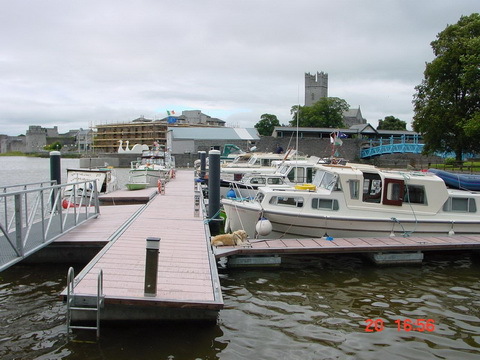 Also, one major problem not considered in Limericks marina is the lack of refuelling facilities to enable you to get back upstream to the next refuelling point in Kilaloe[someplace, now that in 2018,the Ballina marina is gone]. Utter bummer if you get stuck in Limerick with no diesel to fight back up the Abbey river current. Yes. I think part of the problem is the use of the word “marina”: local authorities seem to like it as it sounds posh, but I think it would be better to keep it for the private-sector facilities where people pay to keep their boats and to use “harbour” (or some other word) for public-sector facilities, like those in Limerick, that provide just moorings and water, sometimes shore power and often access to toilets and showers. The word “marina” suggests, wrongly in this case, a wider range of services. I think Shannon Sailing in Dromineer may be the only place selling diesel on or south of Lough Derg.